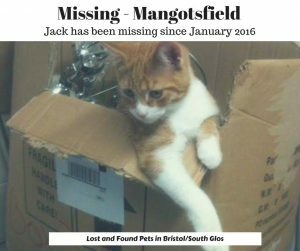 Jack has been missing since Jan 2016. If you know where Jack is, or have taken him in as your pet, please let us know. The owner wants to know he is happy and safe.